Let the professionals at Averie Construction handle all your gutter service needs. We have the experience and training to get the job done right. At Averie Construction, we find that gutter cleaning is one of the household chores that falls by the wayside most frequently. Because they sit above eye level, gutters can be ignored and given the “out of sight, out of mind,” treatment. 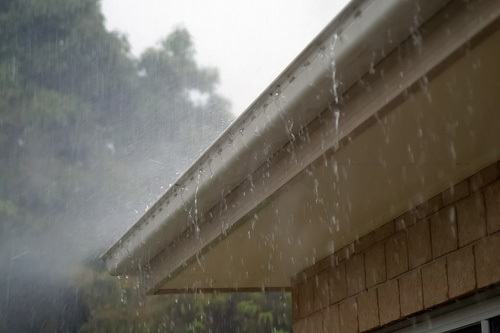 The problem is, however, that ignoring your gutters only leads to a buildup of debris which can ultimately create the need for costly repairs. Simply put, if it has to do with gutters, we can handle it! From gutter and eavestrough cleaning, installation and repair, to the removal of plant life near the gutters that can easily block the path of water, Averie Construction takes care of everything. The best way to prevent this from happening is to clean your gutters regularly, but getting up on a ladder can be dangerous, not to mention simply not a fun way to spend your Saturday morning. Thankfully, at Averie Construction gutters are our bread and butter, so if you’re in need of some assistance we’d be happy to help. Gutters may not seem like a significant part of your home, but they do more than you might think! To get your existing gutters in great shape, or to replace damaged ones, give Averie Construction a call today. Your source for Local, Professional, Gutter Services.